Bula from Fiji! We are still smiling! 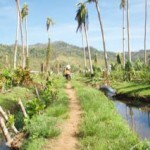 We at Island Spirit have worked alongside these island villages for over six years. 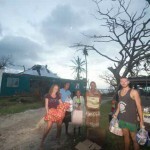 We are raising money after Fiji was battered by the strongest recorded cyclone in the Southern hemisphere, category 5 Cyclone Winston, on 20th February 2016. 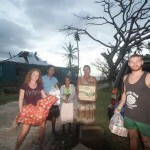 We have only just had time to sit down and share the experience with you as we’ve all been working together to take aid to the outer islands and to our stunning partner village of Lavena which was hit straight on. As the founder of this small company, I am writing this from my own experience and have consolidated what I have heard on the ground so you know what is going on from the grassroots side of things. Everyone has their own connection to certain villages. 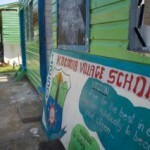 We have chose four villages because we work with them, we know the kids personally and have watched them grow up, we have also done a variety of projects for a good few years now. Their wonderful culture and hospitality is so rich so the least we can do is try to help them out. James and I leave Lavena for safety reasons. We show the lodge staff the screen shot of Winston but it was received with a jovial laugh. I think this is because it has been threatening the islands for more than a week. I am sitting with the ground rumbling beneath me at midday in a resort on the island of Taveuni in the North of Fiji. I remember the ground rumbling last time I was in a category 4 cyclone here. This is 5. The gusts have felled three trees around the main building at the resort and everything is wet. The noise is a roar and constant and when the gusts come you just can’t believe they can get any stronger. I can’t open the outside door, it’s too strong. I don’t want to open the door to the reception for fear of flying debris, its that that kills, not the wind itself. People come in and out just staring outside in disbelief, it is completely overwhelming for the bravest of people. I’m panicking for everyone in Lavena. 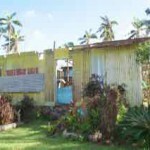 It’s bad enough here on the west coast in a resort let alone the East, hit straight on in a corrugated iron house. I just can’t imagine. Nobody is clearing up as all in shock. It is also Sunday. First flights out of Taveuni 48 hrs after cyclone. 20 people waiting at the airport for flights. Backlog cleared by the end of the day. Pilot delivered first newspaper. 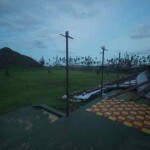 Images of villages flattened. Koro Sun resort is eight miles out to sea. Just built and ready to sell. Bures on pontoons all gone. Flights back on schedule. 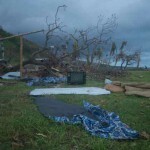 Heard first news from a white person coming to assess damage to Maqai Resort. He said Nadi and Suva were OK but intermittent comms. Rakiraki and north hit really badly. We drove as far as Navakacoa (10 miles ish). 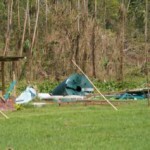 Villages a mess with roofs off, huge 200 yr old trees down on the road all over the place. Still no internet or phone access to the outside. Message sent via kind expat to FB our accounts telling family we are OK. We heard the wharf is gone. No way for the ferry to dock. 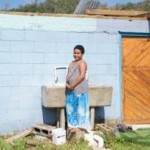 Little Taveuni Princess was smashed up. Kristen was in Draketi with Lagi. Their wall was bowing and nailed in as a last resort. It just stayed standing but houses were falling all around them she said. A 70 yr old women had her arm chopped off by some corrugated iron roofing. They still don’t know if she survived as no comms out of island. NOTE: she passed on soon after reaching Suva hospital by plane. James jogged from Navakacoa to Lavena. 1.5hrs. It was hit very badly. Claudes house roof 40 metres on other side of the road. 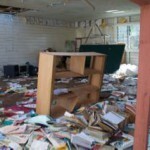 I heard that vurevure hall I funded (£500), survived. Red Cross are at Lavena. All planes back on schedule but still no comms. Gave Ellie Mums email address to send her a message. By 4pm 8 helicopters seen. Death toll is 20 but many islands they just don’t know about. Met Kocoma bumped into Dismac on the way out. Ilisoni asked for oil, tinned fish, rice and flour. Death toll at 43. Trucks seen going in direction of Lavena end with nothing in them! 2x aid planes flew in with 2x arm helicopters. Fuel is really short now. Kocoma will be extra hard to help from now on. Heard from Naigani island today via Jim. 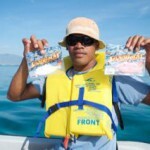 Food drop by boat. PM visited too! 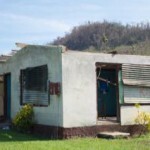 Gov will rebuild all the flattened houses. 10/14. I heard that Kocoma still haven’t received food only what we delivered. 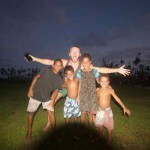 I flew to Viti Levu. 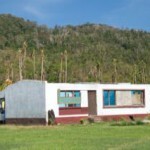 I heard from Annie that aid complaints have started on Taveuni. Matt calls to sort out delivery of chain saws etc to Kocoma and Draketi and Lavena. I give him details and prompt him with local knowledge. 10% discount on seeds from HopTai. Pumpkin, long bean, pakchoi. Bought $345 dollars of the above seeds. 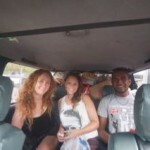 Fundraising at £322 (circa $1000) not enough to make the trip to Taveuni tomorrow. I will postpone for a week to build funds and deliver more long term aid. North East Fiji. East coast Taveuni. It is home to the well known coastal walk so ecotourism plays a major role in their lives. 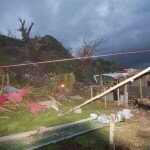 75% of the houses have been destroyed. Debris was everywhere. It looked like a bomb has hit it, quite literally. 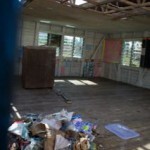 The guest lodge has been gutted, the roof is quarter gone and the rooms flooded. The little eating bure outside managed to survive. 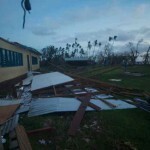 The huge rubber tree on arrival on the left has fallen along with most other large trees and the school roof is completely gone. We (my guest and I) were there just 15 hours before it hit which makes it all so much more heart braking. 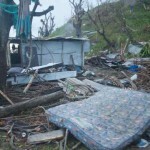 On 7th March I heard that they have received quite a bit of aid including 20 relief starter kit boxes from Rotary which are designed to help get households back on their feet so include things like: food, tarp, plates, panadol etc. North East Fiji. Opposite Lavena across the straight. Hit straight on. A little set back from the shore but sea level. No waves hit. 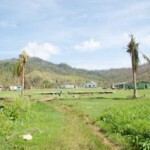 It is a small village on Qamea not far from Maqai Resort. 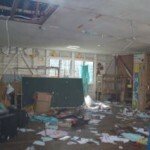 Half of the school roof was blown away, the interior smashed up and staff quarters flattened. 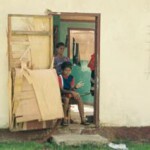 Around 20% of houses were completely flattened and 70% severely damaged. Island Spirit are taking a school group of 20 students there in June to help build a computer corner and stock them with laptops. 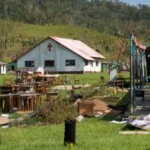 We will still do this but also help to rebuild. North East Fiji. Opposite Lavena across the straight. Hit straight on. My friend was there during the storm and said it was terrifying. She was convinced their house was next as all around here they were being blown away. The men in their house propped the bending wall up with a table and mattress and luckily it didn’t it didn’t buckle. We have delivered food valued at $1200 to three villages – Kocoma, Lavena and Vidawa. We used personal money and passport as guarantee at the local superstore as the ATM was down and their card machine wasn’t working. 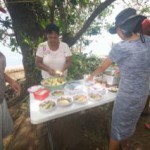 Thanks to generous donors we have raised an additional £1717 to date through gofund.me/northfijivillages. With this $345 worth of pumkin, long bean and pakchoi seeds have been brought to help start planting their farms and become self sufficient. Today we are buying medical supplies from the government pharmacy which is cheaper than the public options. Can you tell me about Foreign Aid? Is coming in from all over the world, especially Australia and New Zealand. As I sit here a Canberra based Navy ship is outside in Suva harbour ready to offload what I heard was housing materials for 370 houses along with food supplies. 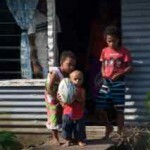 This doesn’t mean everyone is getting equal shares, it is very difficult to ensure all houses on the islands affected (333 islands in Fiji) get something immediately. 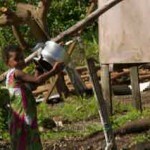 I know first hand from these three villages we have chosen to help that they are really in desperate need. Please help us help them. How do logistics work on the islands? The logistical challenges are huge. 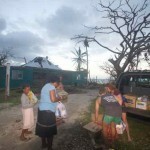 We are personally delivering aid to a landing on Taveuni for Draketi and Kocoma villages to collect. To get to that landing it takes about 21 hours from the capital where the most diverse supplies are sourced. We exchange fuel (so they don’t have to pay the $FJD return fuel price) and they carry it back across the straight for 30 minutes to their villages.It is a long winded job but every little helps. The villagers are so happy to be alive and they still love to welcome you. It’s amazing and so gratifying to help them. 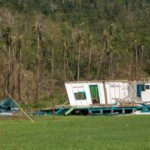 Waiting for imported aid goods such as corrugated iron to be imported into Fiji then to the outer islands. Things take a long time in the best of circumstances. Getting from island to island. Why is food in such short supply? 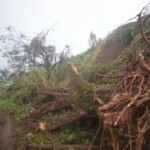 On Taveuni and surrounding islands there was a rare drought before the cyclone hit so dalo and cassava along with most other vegetables were low anyway. 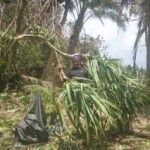 After the cyclone the whole village works together to build their houses. Farming isn’t their priority when their houses are destroyed. Why are some villages OK? Because the cyclone came from the East. All villages without natural geographical barriers such as cliffs and hills were completely flattened. 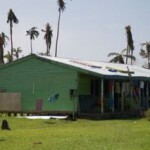 The houses in a hamlet a mile away from Lavena are all intact. How are press covering it? As best they can but they cover what they are told about. 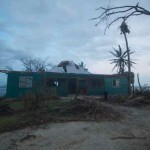 The islands with the most need are usually the outer, smaller ones. Some footage is clearly to raise the profile of certain aid organisations but as long as help is provided on the ground that’s OK. 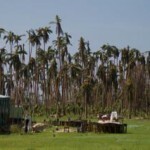 Some footage showed an Australian built village that survived but there are still leafs on the trees in the picture! If the location was as Lavena is I doubt it would have looked the same. 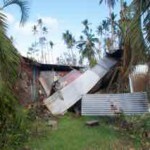 That said the houses are clearly stronger than the ones made from corrugated iron. Where do the doctors come from? All over but the team of five we met on the 28th Feb on Taveuni were from Kentucky and from ‘Reach Out World Wide’ funded by Paul Walker of Fast and Furious! 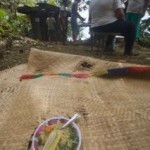 They treated 200 people in two hours in Vuna which was hit at the same angle and speed as Lavena but there are more people there. What are the medical priorities? According to Reach Out Worldwide, doctors say amoxicillin is vital and running out quickly. This is the antibiotic for boils and other skin infections. Dettol and cleaning supplies are also important to prevent the very contagious, scabies and other skin infections such as ringworm. Keeping the kids eating well is a challenge. Rice has no nutrients so vitamins are essential to keep healthy. Everyone seems so happy, why is that? Fijians are known to be some of the happiest on earth. Their philosophy is naturally very positive all the time. 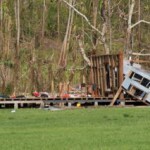 When natural disaster happens they team together and work as one. It is hard for us to imagine but its just a way of life. When I went to ask Kocoma if they wanted help on the 25th I came across the DISMAC team (Gov aid) of ten who had stayed the night and were just leaving. 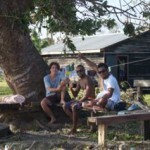 They were there to report on the villages of Qamea islands. Kocoma village had laid a breakfast for them and invited me to eat too. 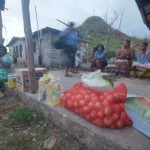 It occurred to me then that only in Fiji would you see villages in a state of emergency giving their last remaining food away to guests. How fast were the winds? FAST! Enough for coconuts to fly horizontally through the air. 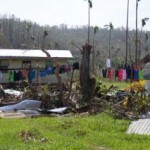 It was a category 5 cyclone, the largest recorded in the Southern hemisphere. 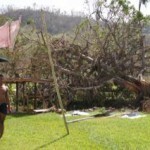 What was the worst destruction on Taveuni? 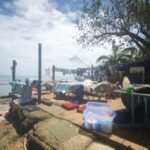 The wharf was destroyed by the high waves which means no food, fuel or passengers can arrive on the island. No fuel means people can’t get about. 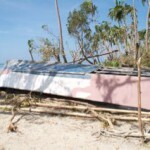 Kocoma boats cant collect food from the Taveuni landing for example. Tourists won’t come to the island so resort will be empty for a while. The main phone tower was down so it took until 24th to get phone access. On the 28th internet works in some locations but not in others. On the 3rd March the internet is still sporadic. Rural village houses. 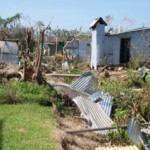 Those made of corrugated iron were particularly vulnerable. What do the villages do when this happens? They are very religious so the Church provides comfort in times of need. They team together and slowly clear the mess into piles. 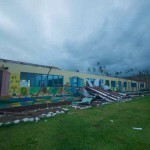 Children can’t go to school because the roof has gone and all books and equipment destroyed. A big concern is for their nutritional welfare. Children can be fussy so to keep them eating the rations is a challenge. When not washing properly tropical boils are a real menace, they get infected very easily. How long do rations last? 10kg of rice will probably feed a family for four for a week or so but they need other ingredients too as it has no nutrients. We dropped off $500 worth of rice, dahl, oil, tinned fish and flour to Kocoma at 8am on 26th. Late on the 28th I heard directly from Mai who lives there that is all the food they received. 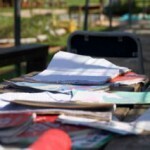 We have lots of aid coming in and hope that things will move forward relatively quickly. 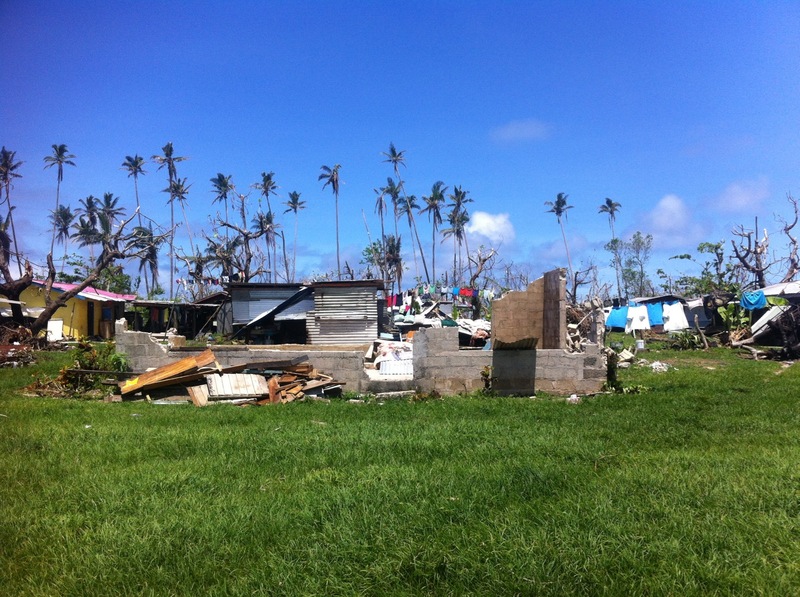 But I was told today that some villages on the island of Qamea are still waiting for their houses to be built from the 2010 cyclone Thomas.